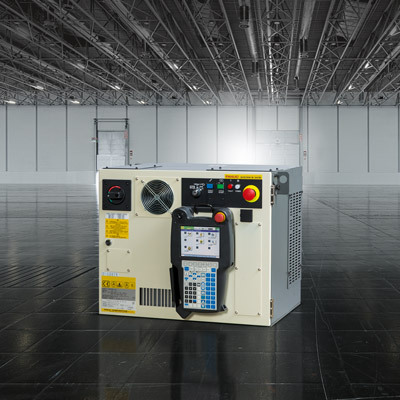 The FANUC M-20iB/25C comes in special white paint indicating its resistance against cleaning agents and used in daily wash down operations typical for cleanroom environments such as 2nd-Food areas or the medial, optical, pharmaceutical or electronics industry. This model, based on the M-20iB series, was built with the intent to meet the standard requirements (IP67 standard) of such demanding environments - with no compromise of robot speed and repeatability. 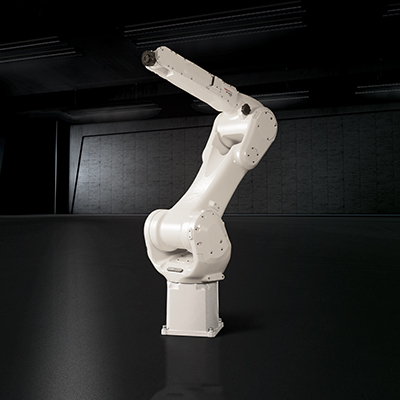 Based on its slim, entirely encapsulated design, the cleanroom robot reaches high flexibility levels, adding versatility to its ability to perform applications within compact cells. This Cleanroom Robot can achieve Cleanroom Class ISO 5. The M-20iB/25C has been awarded a Fraunhofer certificate TESTED DEVICE. It is an internationally recognized certificate for products which have been objectively qualified based on acknowledged standards and guidelines governing their suitability for cleanroom applications. 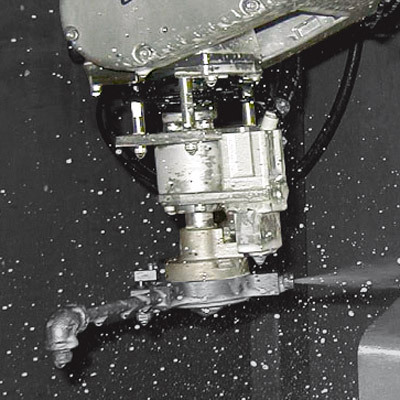 Compared to the standard FANUC robot model, its sturdy, waterproof design renders it an ideal for every type of production environment involving food or other hygiene-sensitive materials - whether wet or dirty. 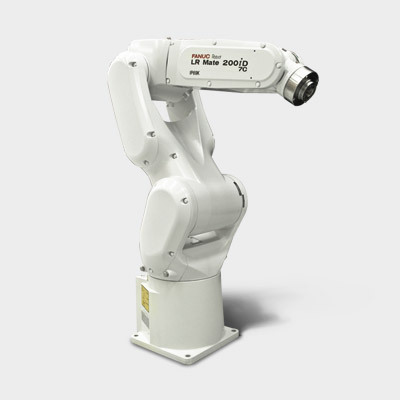 Having all cables or motors integrated in its arm, and due to its special white coating, the robot is IP67 rated, making it waterproof, hence apt to be washed. 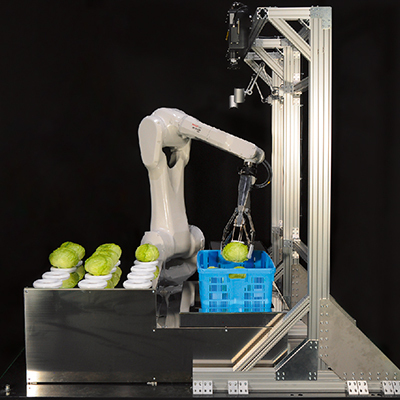 As all six axes of the robot arm are equipped with food lubricant by default, it makes it perfect for the 2nd-Food or pharmaceutical area. Despite its cleanroom features and independent of the environment, the M-20iB/25C does not fall short of performing a range of different applications. With the advanced servo technology in its writs, it can fulfill tasks at the same speed and level of accuracy as its forerunner M-20iB/25, while continuously reaching shorter cycle times. Furthermore, its slim arm gives it the flexibility to operate in cells with lower space availability. This Cleanroom Robot is an ideal fit for the semiconductor industry, as it has the necessary accuracy and repeatable precision to produce sensitive medical parts at a high-level (e.g. mirrors and lenses). Furthermore, its speed allows manufacturers from the 2nd food area to increase their output through extremely fast processing, and handling of goods (e.g. getting raw materials on the production line, or handling goods at different stages of the production process) within today’s competitive food market. 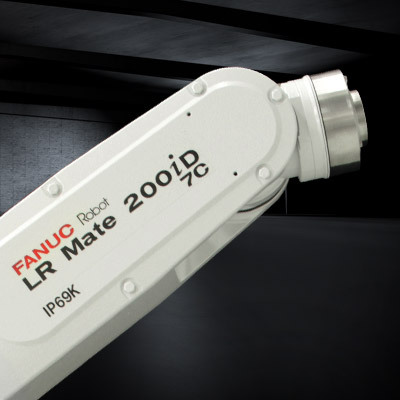 The LR Mate 200iD/7LC Cleanroom Robot is a high-performer for manufacturing and lab applications, this 6 axis version provides extra versatility thanks to an increased reach of 911mm. This IP67 water and dust proof LR Mate 200iD/7C Cleanroom version has a standard reach of 717 mm. Need an even shorter reach? 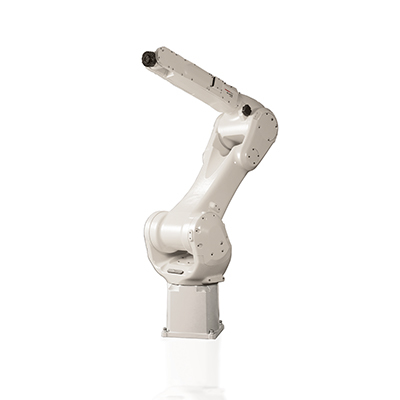 Check out the LR Mate 200iD/4SC Cleanroom Robot - it has the shortest reach with 550mm for extra compact robot cells.